Where are we at with Windfarms? 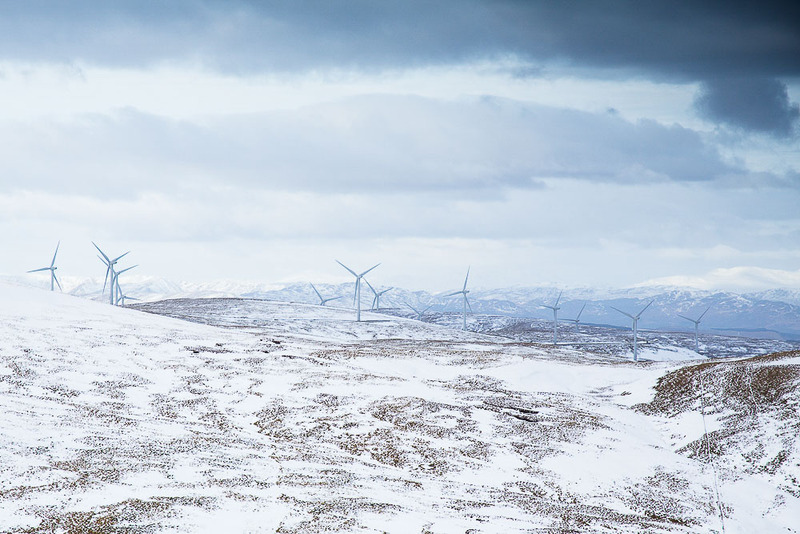 After a series of recent wind farm rejections, columnist David Lintern gives his take on what’s next for wind energy and Scotland’s wild places. Wind energy is a hugely contentious issue, and it would be a mistake to assume that readers of this article will agree one way or another. What I’d like to do here is to try and take the temperature of the situation – take a brief look at what’s happened historically, what’s changed recently and what it might mean for the future. Inevitably that will be a snapshot. I will be honest about my own position and say why I have it. I’ll also say why I think there’s cause for celebration as well as continued concern. First though, a little background. Using the latest GIS data, at least 601 windfarms have been built, or are in the construction, application or scoping process. There’s a Highland Council list dated 2015 showing well over 1400 turbines. Both these figures are ball park, but it’s little wonder that the visual impact of wind energy (places in Scotland from where turbines can be seen) has more than doubled between 2008 and 2013, to over 45%. Whatever your view on windfarms, until recently the march of industrial development across Scotland seemed unstoppable. Has the wind changed? Two things in particular seem to have shifted in the renewable energy landscape. The first is the acknowledgment by the Scottish Government of a ‘Wild Land Areas’ (WLAs) Map in June 2014, which highlights 42 areas (about 1/5th of Scotland’s land mass) that are considered deserving of protection from ‘inappropriate and large scale’ onshore wind developments. This isn’t legislation as such – rather an advisory document for planners. The government recognised that Scotland’s wild places contribute to the health, well-being and economic vitality of the country, although implementing all this is complex in practise. At this point, it’s worth contextualising references to tourism and national identity against the background of the 2014 referendum, and Scottish land reform. It’s also worth saying that this acknowledgment of Scotland’s natural environment has taken campaigners well over a decade of research and advocacy to achieve. The second shift is the changing subsidy structure for renewable energy. Subsidies may have been originally designed to assist startups, and level the playing field between fossil fuels and renewables, but were arguably later exploited by large landowners and energy companies as moneymaking schemes in themselves. 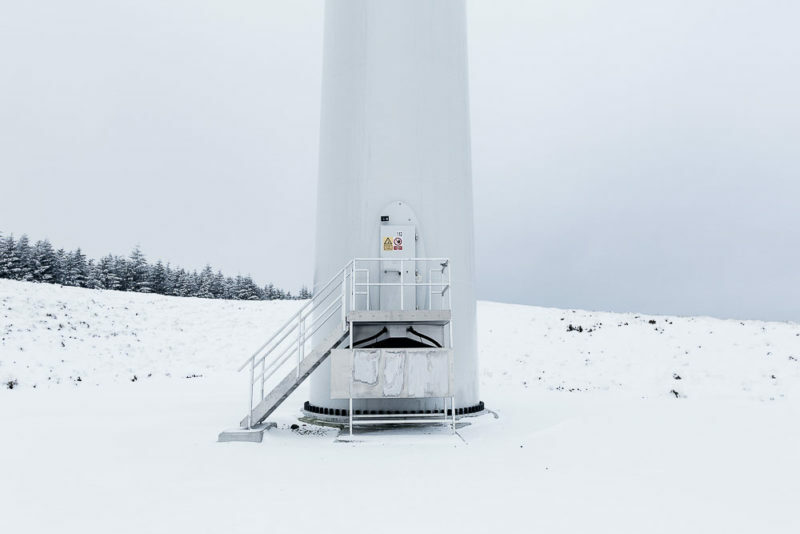 However, following the 2015 General Election, the UK government bowed to pressure in England and pledged to end the Renewables Obligation Certificate (ROC) subsidy scheme. There’s currently a question mark over a newer subsidy scheme known as the ‘Contract for Difference’ (CfD). These are allocated by reverse auction on a periodical basis and we are between rounds at the moment. Against this background, some developers have cited uncertainty around subsidies as a reason for either pulling out of plans, or deciding not to appeal court rejections. It’s likely to have played a role in the Talladh a’ Bheithe and Macritch Hill decisions, if not more. The Clyde Law windfarm, the largest installation in Europe and visible from the M74. 1 of 152 turbines. 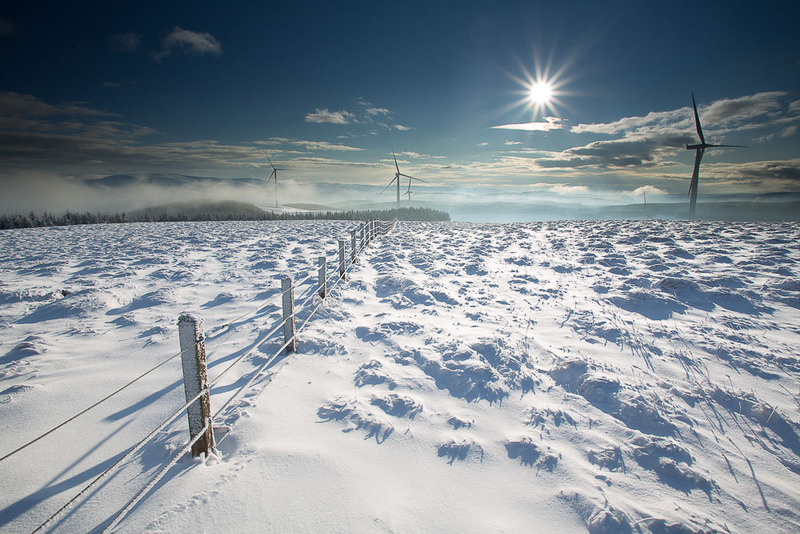 According to the Scottish Government document ‘Energy in Scotland 2015’, there is currently 7.1GW of renewable energy operational north of the border, and under 0.5GW under construction. However, an additional 8.2GW has planning consent and is awaiting construction. That’s more than the same amount of turbines as we already have on the hill, waiting to be built. But surely, that won’t be economical for the energy companies, because of the change in subsidies? Well, reports of the demise of subsidies may have been grossly overstated. Wind developments that are built and exporting to the grid are covered under ROC for their lifetime. But so are those that have planning consent, land rights and the offer of a grid connection. The phase out of this subsidy type is supposed to begin this year, a year earlier than planned, but isn’t actually ending completely until around 2037. I’ve also heard concerns expressed privately that ROC may be reintroduced in some form in the future. The newer, CfD subsidy is being considered carefully, with some government think tanks currently considering whether the wording can be changed to avoid calling these payouts ‘subsidies’ altogether. The John Muir Trust (JMT) believes there is a chance they may still be used to finance projects on Scotland’s islands. The ever-increasing scale of these installations is also a factor. Turbines are now regularly 135m high, and are being planned in higher densities than before. The Mountaineering Council of Scotland (MCofS) is concerned that the change in the nature of subsidies won’t mean an end to new proposals, but rather an increase in size, and their more aggressive positioning in windier, more mountainous areas in order to drive profit and make these developments less reliant on government payouts. Some may ask; if there are fewer subsidies, wind farms are running at a profit, and generating electricity, what is the problem? In a small way, I’ve been involved in the campaign to protect wild places against developments like these for about 6 years – radio shows, blogs, letter writing, fundraising walks, and working for a conservation organisation for a few years. It began as an emotional and probably quite selfish response. I wanted to protect what I loved doing, which was walking and backpacking in remote, elemental places. But the more I understood, the more I was convinced these industrial developments were doing way more harm than good. Wind turbines are built predominantly in upland areas rich in peat, which is an amazing resource. I don’t have figures for Scotland alone, but I do have them for the UK. Peatland, formed of slowly decomposing vegetation, covers about 12% of the UK, and when left undisturbed and undrained for development locks in 3 billion tonnes of carbon, the equivalent of the our total output of greenhouse gases for the next 21 years. It also provides 70% of the UK’s clean water supply. The UK as a whole has about 13% of the global total resource, making our particular version of the stuff a uniquely rare habitat – Scotland’s contribution is around 7-8% of the 13%. It supports hare’s tail and deer grass, bog bean, bog myrtle and bog asphodel, heath milkwort, devil’s bit scabious, nearly a 1000 sphagnum moss species, insectivorous plants such as sundews, butterworts and liverworts, raptors including merlin, golden eagle, peregrine and barn owl, smaller migrants, waders and other winged foragers like the twite, dunlin, greenshank and sandpiper, globally significant populations of golden plover and red throated diver, invertebrates like the large heath butterfly, mire pill beetle and the hairy canary fly, larger mammals like the mountain hare and red deer, and endangered populations of otter and wildcat. These places are our equivalent of the rainforest – no more, no less. Not as exotic as the Amazon, maybe, but every bit as important and unique. Peatland offers similar levels of carbon sequestration, habitat for increasingly rare wildlife, and a water life support system necessary for human survival. It offers a local, nature based solution to climate change. But under development, which dries out the soil and releases the carbon, it can’t provide any of these ‘ecosystem services’. I still believe categorically that it’s important to have places we can roam, free from industrial development for our enjoyment and well being, but… this is not just about keeping the scenery ‘pretty’ for us humans. Throw in the fact that electricity from wind turbines can’t be generated on demand, or stored, the trail of environmental destruction in China where the raw materials for the turbines are extracted, and that the access roads and transmission infrastructure creates a vast amount of damage in addition to the turbines themselves, and windfarms start to look very unsustainable indeed. As an ex Greenpeace supporter, I really would love to say otherwise. But in all honesty, I can’t. When I set out to write this initially, I wanted to write a success story – about how small charities with the help of outdoors activists (online and otherwise), had prevailed over giant nature trashing corporations and sent them packing. Romantic of me, I know… but was it also naïve? I asked a few organisations how important they felt the wider communities support was in making a difference. Alongside the JMT and MCofS, I also spoke to Keep Rannoch Wild, and all remarked positively that outdoor activists had helped raise the profile of cases by spreading the word on social media. However, online whinging wasn’t enough – the key thing was a call to action; asking online readers and followers to respond to official consultations and write letters to ministers and the press. My subjective impression is that our community has got a lot better at this over the last few years. Then again, so have those who support wind energy. Because of how modern media works, digital noise about a certain issue might also help leverage support amongst other conservation bodies in an anecdotal way – say by applying pressure via Twitter – although given how well networked most these organisations are with each other, it’s hard to argue this case very strongly. Certainly then, social media only has real traction in conjunction with the legal knowhow and professional advocacy of these bodies. After all, they have the volume – leafleting campaigns, and organised memberships to draw on. It’s a partnership, with the outdoor community providing a ‘random factor’ that makes concern about inappropriate development awkwardly public, and therefore more difficult for government officials to ignore. 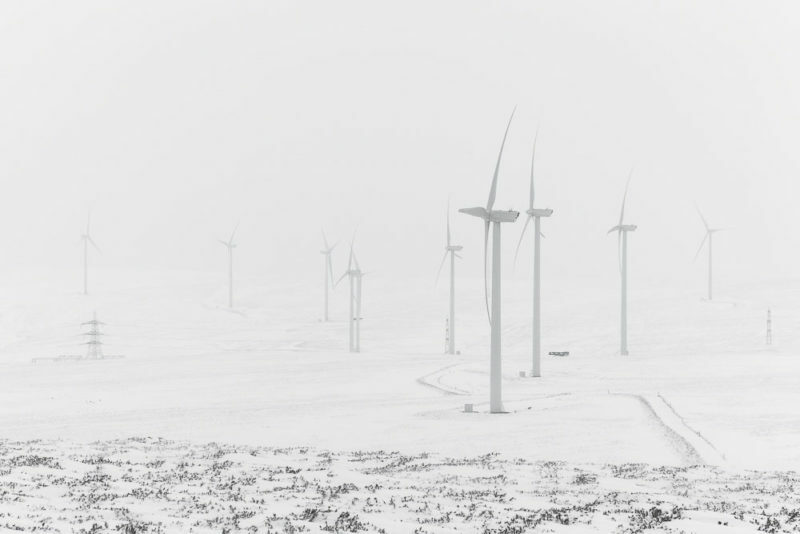 What next for Wind energy? There’s no doubt that there have been some significant changes, and local planners and government seem to more accepting of the fact that Wild Land is a valuable economic, cultural and natural resource – most recently demonstrated by the Highland Council’s rejection of the Caplich scheme in Sutherland. This would not have happened without the campaigning work of organisations and individuals working to increased effect over the last decade or more. It shows what can be done. We’ve come a long way, but the future is, as always, an unknown land. While the MCofS are happy with the recent direction of travel, they are concerned that new applications are still being submitted. In January 2016, new schemes were proposed for 90 turbines 132m high near Newcastleton and 40 turbines 150m high at Glen Dye, both in areas currently without turbines. In the meantime, both the JMT and MCofS are still involved in planning casework over multiple locations extending over many years. Even if brand new proposals stopped today, subsidies roll on for the existing and planned installations for another 15-20 years. The Wild Land Areas Map is now a recognised tool, but it still only exists as ‘guidance’ to planners, who are now required to show that their plans don’t ‘significantly impact’ on these areas. It’s a grey area, which can be exploited in the hands of developers. The JMT would prefer to see the positive value of Wild Land Areas recognised as part of Scottish planning policy, so that they are protected for their social, economic and natural value regardless of the type of development. It’s not just about windfarms – it could be roads, pylons, other energy or property speculation that will be an issue for the future. Ideally, WLA’s would be categorised as ‘successful, sustainable places’ in the same way as National Parks are. Finally, it would be a mistake to think any of this was about nimbyism, climate change denial or even renewables per se. With friends like Donald Trump, we don’t need enemies! All those who oppose wind turbines in wild places do so on the basis that they are badly sited, and cause more damage to the environment than they mitigate. For me, energy conservation and localised, off grid production is a much more efficient tool for empowering all of those who live in a place – be they animal, vegetable or human. Questioning wind power is not about being anti renewable; it’s about being pro-environment.